Japan is located along the Pacific “ring of fire”, on the edges of several continental and oceanic tectonic plates. This is an area of high seismic and volcanic activity from New Zealand, up through Japan, across to Alaska, and down the west coasts of North and South America. 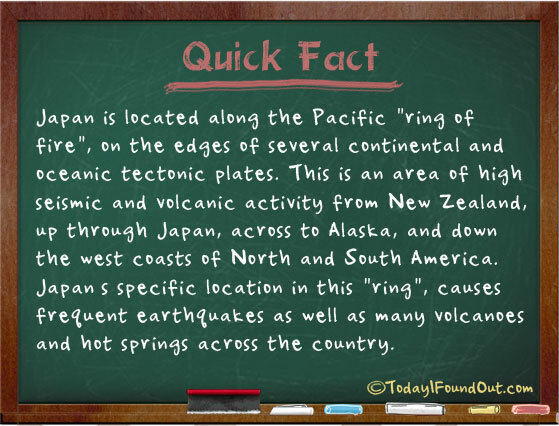 Japan’s specific location in this “ring”, causes frequent earthquakes as well as many volcanoes and hot springs across the country.